Super pumped to introduce my friend Kristen Carli on the blog today! I’ve known Kristen for years and am so excited she has finally launched her blog MOSTLY GREEN. 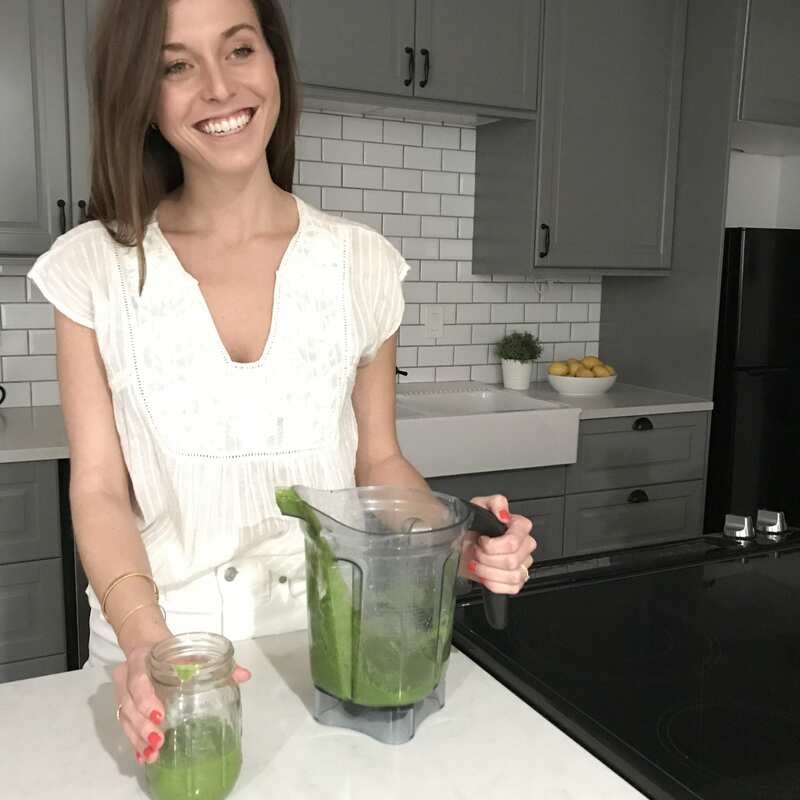 She’s up and coming in the nutrition/recipe space and as you all know – RECIPES AREN’T MY FORTE! My goal was to bring you a few people I really trust this year to share a couple of their favorite recipes with you. As you know, I started my vegetarian (vegan-ish) journey back in April 2017 and have never turned back. I’ve been so inspired by some of my favorite plant based bloggers to get creative in the kitchen. But, I like easy and convenient things! I love Kristen’s motto! 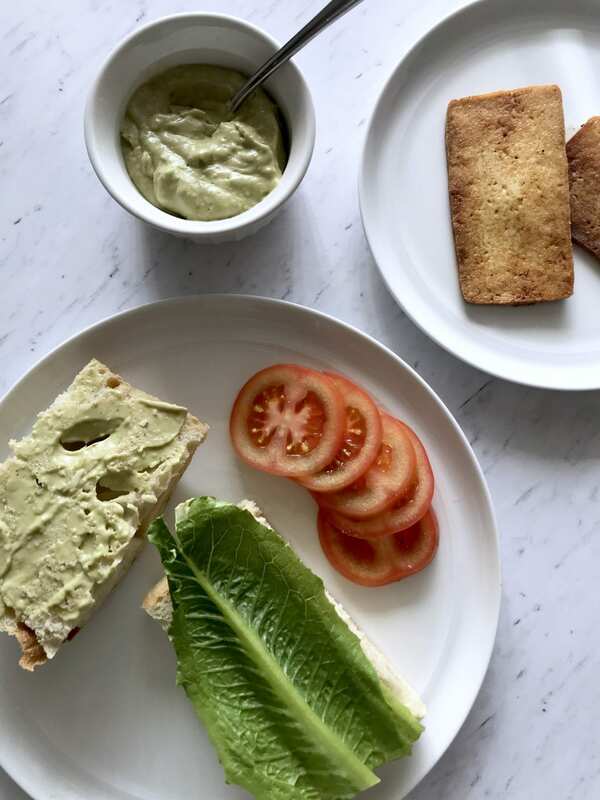 She says “I will forever be an advocate for the plant-based diet….but I am not losing any sleep if, every now and then, animal products make their way onto my plate.” Her simplified approach is exactly the reason I love her. 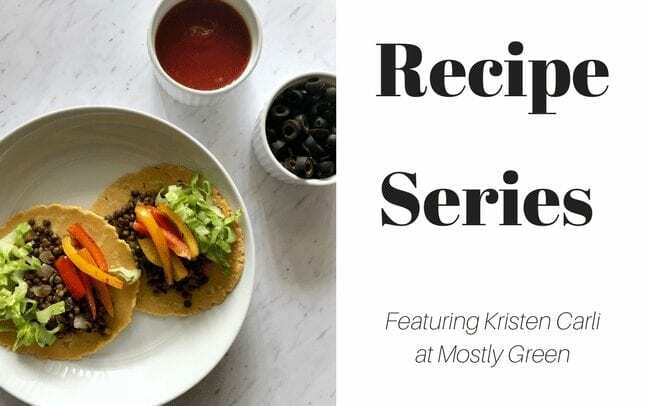 Today she is sharing two of her favorite recipes as of lately. You can always find more on her blog and/or instagram! Cut tofu into slices. Place in a glass tupperware. Cover with 3 tablespoons soy sauce, 1 tablespoon sesame oil, and a few dashes of sriracha. Store refrigerated for up to one week. 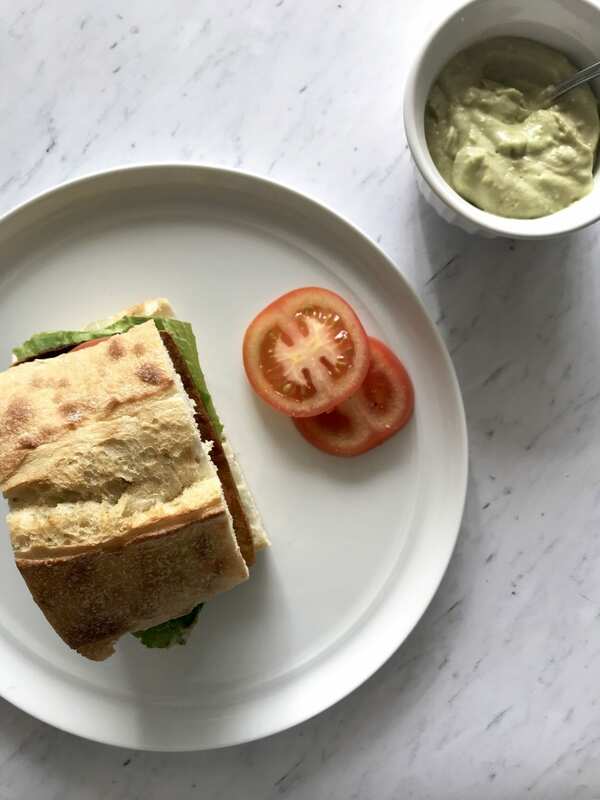 Prepare the avocado garlic aioli by placing all ingredients in a food processor and blending. Store in a jar for up to 2 weeks. 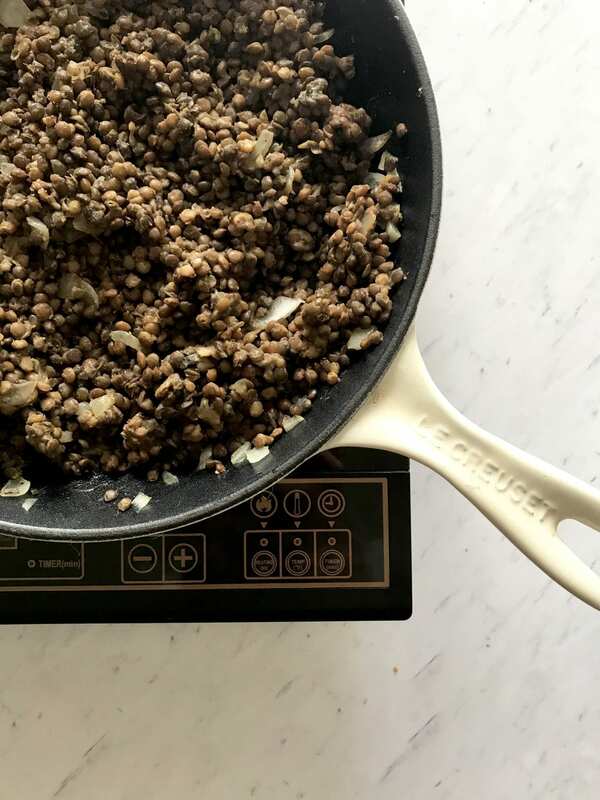 Heat remaining ½ teaspoon of sesame oil in a cast iron skillet over medium heat. Cook two slices of tofu, flipping until browned and crisp on both sides. Spread avocado garlic aioli onto bread. Place 2 tomato slices and a few lettuce leaves on bread. Add warm tofu slices. Enjoy!! Carli says, “Even plant-based folks crave a hearty meal every-so-often…especially after a tough workout. 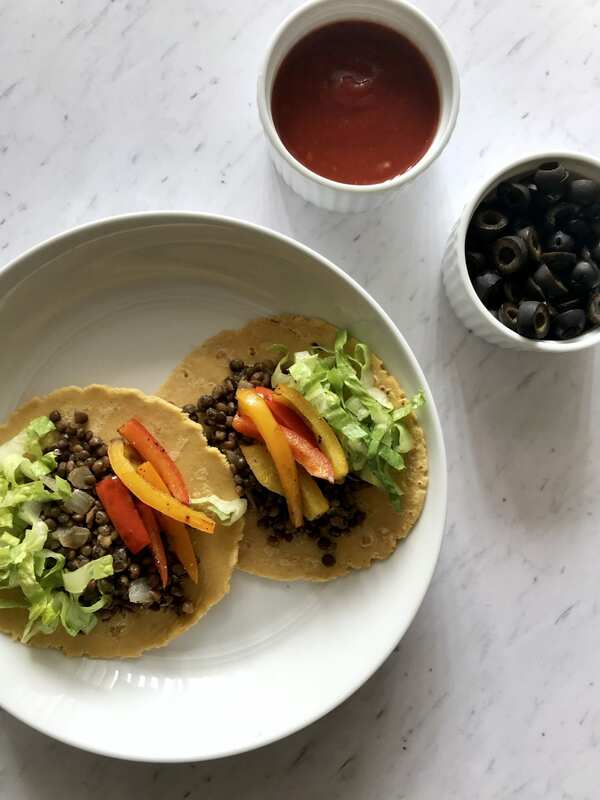 So, here is a dish that is simple to put together, and packed with the nutrients you need to keep your body fueled up and ready to tackle those new-year fitness resolutions.” I swear, trader joe’s easy lentil packs are my JAM! I use them so often in everything and legitimately takes 3-4 minutes to cook in the microwave if you really don’t want to use the stove (LOL…..AKA ME EVERYDAY). Heat a large cast iron skillet over medium heat. Add 1 tsp of olive oil and diced onion. Cook the onion until it is translucent, then add the prepared lentils to the skillet. Add seasoning and stir to combine. Cook until warm throughout, about 5 minutes. In the meantime, heat another skillet over medium heat. Add 1 tsp olive oil and sliced bell peppers. Add salt and pepper to taste. Heat until edges and skin become browned, even a bit charred. Scoop a spoonful of lentil mixture on each tortilla. Add sauteed peppers and lettuce. Top with any other extras as desired! Kristen Carli graduated from the University of Arizona with a B.A. in Psychology. But after a few years, she jumped back into school at Arizona State University to begin studying nutrition and dietetics in order to become a registered dietitian. Her goal is to help others to simplify their relationship with food through an uncomplicated, mostly plant-based approach. Along the way, she shares things she’s learned in her studies, recipes she loves, and other nuggets of information to drive us all towards a healthier life.